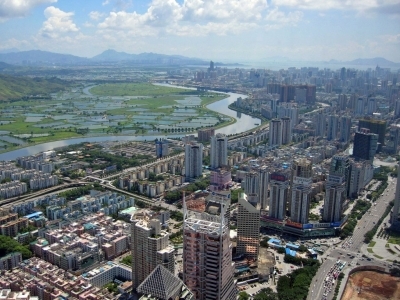 Before its current incarnation as the "factory to the world" and one of the densest multi-city clusters in the world, the Pearl River Delta region (PRD) was covered with agricultural villages. These villages are today surrounded by urban development as "villages-in-the-city," and are home to migrants from all over China. Due to their unique legal status acquired over the course of 20th century history, urban villagers are today among the few Chinese citizens who can control their own land, build their own houses and elect their own leaders. Since 2006, central and municipal government policies have sought to diminish village power, working to eliminate the village as an independent entity in the city. 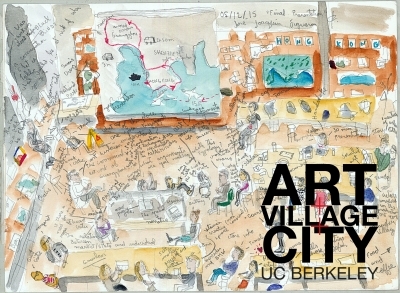 Art, design, and the creative economy has been central to this dynamic between the village and the city, and the "art village" has emerged as a transformative and distinctive urban phenomenon. 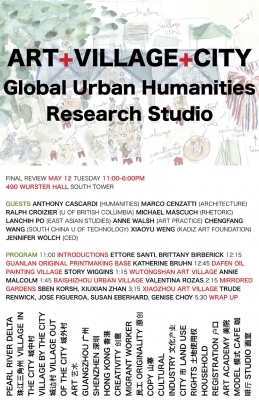 This research studio will critically investigate a wide range of urban art villages in the Pearl River Delta, exploring their historical development, current state, and future potential. These sites range from Dafen Oil Painting Village in Shenzhen, which exports hundreds of thousands of trade paintings around the world, to Xiaozhou Village in Guangzhou, where local artists and art teachers transformed village houses into studios and galleries, to the collaborative architectural project of Japanese architect Fujimoto and the avant-garde Vitamin Creative Space in Guangzhou. Throughout the region, villagers, artists, officials, migrants, developers, and entrepreneurs have leveraged art practices in order to reimagine urban life and urban citizenship. This studio documents and investigates their efforts, and will propose its own interventions. This studio entails a 14-day intensive fieldwork trip in the Pearl River Delta during the Spring Semester break, kicking off with an examination of Hong Kong's alternative art spaces, moving on to investigate Shenzhen's model art villages, then focusing on new iterations in Guangzhou and its expansive environs, and ending at an experimental cultural preservation site in Kaiping. Throughout the studio, students will explore multidisciplinary methods in urban research, documentary and ethnographic fieldwork, and developing tools for visualization, analysis, and presentation. 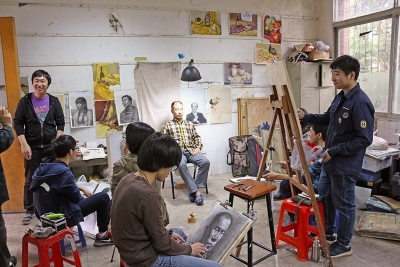 Students are expected to use studio time to work in collaborative teams to produce both visual and textual projects, and the studio discussion will take the format of weekly pinups and two studio crits. The research studio will culminate in a public project exhibition and symposium to be held at UC Berkeley. No prior knowledge of the PRD, Chinese language, or design skills, is necessary, only an open mind willingness to conduct fieldwork, and an interest in exploring complex issues in experimental fashion. Graduate students from all departments and schools of UC Berkeley are invited to apply. Please send a CV and a Letter of Interest to Abingo Wu (abingo.wu@gmail.com) by November 15, 2014. Winnie Wong is Assistant Professor of Rhetoric at UC Berkeley. 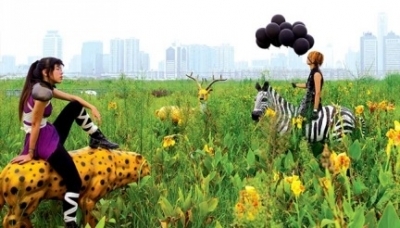 She has conducted research in the Pearl River Delta since 1999, with a particular focus on contemporary art, popular culture, and urban history. Her recently published book, Van Gogh on Demand (U Chicago Press 2014), examines intersections of contemporary art and painting at Dafen village, and is based on in-depth fieldwork with migrant painters and conceptual artists. She is currently at work on an edited volume on the history of Shenzhen, as well as a history of trade painting in 18th- and 19th-century Guangzhou. Margaret Crawford is Professor of Architecture at UC Berkeley. An architectural and urban historian, she has conducted research and taught studios in the Pearl River Delta since 2006, collaborating with South China University of Technology in Guangzhou. She is the author of two recent articles on urban villages and urban agriculture in the PRD and recently received a Fulbright Fellowship to prepare a book on Panyu, a district of Guangzhou. She is the author of "Building the Workingman’s Paradise," "Everyday Urbanism" and numerous articles on the American built environment. Check out these blog posts for student work and reflections on themes and methods. 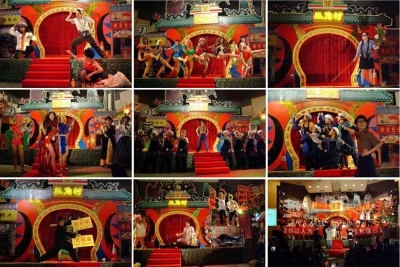 On Video as a Method and What Constitutes a "Site"
Join six scholars of the Pearl River Delta region as they introduce the strangest and most confounding sites they have encountered in their research.